Give a woman a right pair of acrylic nails and she will conquer the world! Oh wait, is that how it goes? Never mind, it still makes perfect sense! Living in the 21 century has got a lot of things that many women can look forward to, and that can make them happy. There are so many endless possibilities when it comes to fashion, makeup, nails, pretty much everything and anything. You do know by now that you can choose between gels, acrylics, tips and all natural nails, right? Well, do you ever ask yourself what are acrylic nails? Or why to go with them as your option when choosing at the salon? If you want to pamper yourself, take care of your nails. Also, if you have weak brittle natural nails, acrylics might just save you. Acrylic is a type of an artificial nail manicure that is made out of a mixed liquid and a powder that will be mixed directly onto your nails. The mixture usually covers your entire nail, although sometimes nail technicians might only add a flexible form that they can sculpt to extend your nails. The longer it is exposed to air, the harder it gets. Of course in time, your acrylics will grow out with your natural nails. So, you should pay a new visit to the salon to get them fixed and filled in. The process isn’t scary whatsoever, in fact, women got super addicted to it. But, here are some things that you need to think about and look into if you want to have a perfect acrylic manicure. Find the right nail technician that you will love and adore. Being faithful and honest with your nail lady is a must! That is the only way you might get your dream nails. Find someone you can be open with, honest, and who you will get along. After all, that is a two-hour process at the salon where you are stuck with that person. It’s better to have a pleasant conversation instead of just being awkwardly silent in there. You can do your research online or go to someone if your friend has recommended them. And you can always look at their reviews on social media, that way you will get a picture of what you are getting yourself into. Also, make sure to tip your technician from time to time, that is if you believe she deserved it, and you’ve come out super satisfied. Keep your nails clean in order to avoid infections. You can have a small brush which you can use to scrub the gunk under your tips. When they get super long this might seem as a bigger problem, so scrub well. Wash your hands regularly and use a hand sanitizer. You will be infection free. How Long Do The Acrylic Nails Last? Always get your regular fills. Those can be in the exact same color, or you can switch them up a little. There have been some cases where women who wouldn’t go for a month or even longer to get their refills ended up having nasty infections when their nails broke. Fills are good because it is less likely for them to break off of your natural nail bed, and so they won’t end up looking nasty or gunky. If you go every two to three weeks to get them refill you will be fine. Make your acrylics worth that money! We all know that acrylics are not cheap, but when done right, you will see that they are worth it. Usually, prices tend to go from 30-60$. A regular fill is somewhere around 30$, while the complete acrylic set costs a lot more. Our advice is that you go all out on it than to try to save some money. If the salon has a good reputation, is clean (this is a very important and a must factor), and the price is acceptable, give them a chance. Getting a new set can be a struggle, we know. Never mind the whole process and the money, but deciding what to go for is also a struggle. Sometimes it is worse to waste that much of your time just thinking about the design, and then just imagine sitting on that chair for hours while applying them. Never ending process. 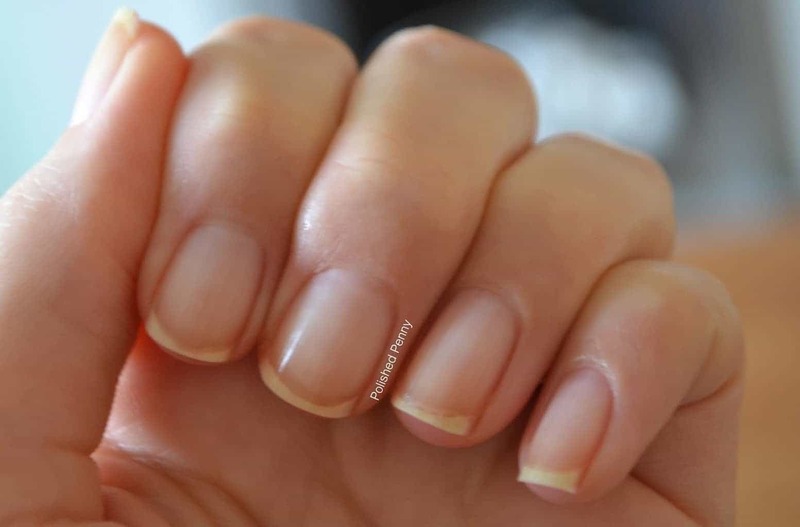 If you have really brittle natural nails, acrylics might hide that better than the tips. However, if your nails are too sensitive or weak you should give them a break when getting these new sets. If you do decide to take your acrylics off because you want to let your nails breathe and live a bit, you can totally do that, and you don’t have to wait for them to break on their own. When at the salon, the nail lady will soak your nails in acetone for ten to fifteen minutes and then gently file the old set down. She will keep doing this and repeating the process a few times until everything is off. This won’t hurt you as much as removing your old sets with a nail clipper does. This maybe doesn’t sound reasonable to you, but you should really be careful with your nails, especially if you have longer ones on. If you accidentally catch them on something they can easily get lifted off of the nail bed. If you break that seal you are open to a whole serious of yeast or fungus that might brew on that space. The acrylics might have something unusual in store for you tho. In time, you will get used to living with them, no matter how long or funky they look. Believe it or not, some women have developed a faster and easier typing habit, so that’s a plus. Also, some things may be super hard for you, like picking pennies off or putting your contact lenses on, zipping your pants and etc. But those are all just some small and simple things that you will be able to live without. The most important part is that you will look stylish and flawless all the time! Suzie demonstrates how to Apply Acrylic, and make the perfect ‘bead’, as well as how to avoid common problems while learning the proper Application Technique. If you are interested in purchasing Suzie’s new kit, and would like to support her channel, check out her new online store: https://store.nailcareer.com Shipping worldwide, price on Suzie’s store is in Canadian dollars, which is only US $91.47 at today’s exchange rate. Now you know what are acrylics nails, how you have to maintain them, and how much they can cost. Always make sure to do them how you like them, and not how your friends or your nail lady tells you. You do you, pay attention to our tips, and you will be extremely happy! How Long to Wait Between Coats of Your Nail Paint?